Dr. Marek Chodakiewicz gave two lectures for the Polish and Slavic Credit Union about the necessity of involvement on the part of Polish Americans and the perspectives for the American Poles in the American political life. This entry was posted in Donor Spotlight, Lectures, Past Events, Uncategorized on June 27, 2018 by liberska. Taste of Emigration, Polish American Congress Council of National Directors Banquet, Washington DC, September 2017. Dr. Marek Chodakiewicz gave a keynote address on the importance of public diplomacy, lobbying, and involvement of Polish Americans in the political life of America. This entry was posted in Donor Spotlight, Lectures, Past Events, Uncategorized on September 30, 2017 by liberska. IWP’s Kościuszko Chair in Polish Studies—headed by Dr. Marek Jan Chodakiewicz—has traditionally reached out with great success to the Polish-American community. More recently, the Institute and the KC have been mentioned and praised in two Polish-American venues: the weekly English-language, New-Jersey-based Post Eagle (24 July edition), which just celebrated its 50th anniversary; and the Polish-language Gwiazda Polarna [Polar Star] (27 July edition), the oldest Polish newspaper in America (est. 1908). The two articles, both written by John Czop, summarize a lecture delivered by Paweł Styrna, a researcher and assistant to the Kościuszko Chair, on 9 June 2013 at the Polish Heritage Festival in Holmdel, NJ. The presentation discussed what Americans—and particularly American policy-makers and strategic thinkers—in the 21st century can learn from the history of the Polish-Lithuanian Commonwealth, whose institutions and governing philosophy showed many remarkable similarities to ours. This entry was posted in Donor Spotlight, Lectures, News, Polish History on August 8, 2013 by IWP. It is felicitous when family and friends can work together for a cause that is higher than themselves. Nothing testifies to the grandness of the endeavor than a multigenerational effort of passing our values down to the next volunteer. And in the case of Richard Zakrzewski (11 November 1919-21 March 2013), who has just passed away, the venue of transmission was The Institute of World Politics. Our school reflects his values, methods, goals, and hopes for the United States and the world, including his Old Country, Poland. Mr. Zakrzewski was born in Lwów, Poland (currently Ukraine). He studied engineering at the Lwów University. He was also an altar boy, a boy scout, and a student activist. In September 1939, when Nazi Germany and Soviet Russia attacked Poland, he promptly volunteered for service and took to the field. His small squad of friends was captured first by Ukrainian nationalists and then by the Communists, but the young people managed to extricate themselves from their clutches each time. They broke out of jail and crossed into neutral Romania, where they were immediately interned. Soon they fled from the internment camp to Yugoslavia and Greece. There they stowed themselves away on a ship which took them to France, where they rejoined the Polish Army. Mr. Zakrzewski subsequently fought at Narvik, Norway, in April 1940, and, afterwards, was shipped back to France to face the German blitzkrieg once again. The French surrendered, but his Polish regiment fought on. Later it was dissolved with orders to head for England in small groups. Taken prisoner, he and his friends disabled the guards and escaped into unoccupied France. There they procured a yacht and sailed for Gibraltar. None really knew how to sail. Shipwrecked in a ferocious storm not far away from the British enclave, they were apprehended by the White Spaniards, who – to the great fury of the Poles – took them for Communists and imprisoned them at the infamous Miranda del Ebro camp. After several escape attempts, a lengthy hunger strike, Allied diplomacy, and military success against the Axis, Madrid finally released the captives who traveled through Portugal to England, where Mr. Zakrzewski joined the Royal Air Force bomber command’s Polish-wing (304 Polish RAF Squadron) in January 1943. Until the end of the war, he chased U-boats around the Atlantic, most frequently in the Bay of Biscay. Whether on the march, in jail, in camp, or in combat, Mr. Zakrzewski continued his studies. In between flying sorties, he attended the Polish University in Exile and the Royal Institute of Technology. He graduated with a graduate engineering degree from both. His specialty was optical engineering. Meanwhile, he also pursued his political activism. As an émigré youth leader, right after the war he set out to organize Polish students around Western Europe and arranged for scholarships for them at Catholic universities, most notably in Belgium. Education was always extremely important to him. Richard came to the United States from Great Britain in 1949. He worked on projects pertaining to national security, including the hydrogen bomb’s nuclear trigger and spy satellites. His last national security assignment was the Strategic Defense Initiative (SDI), in particular the mirror project of the “Star Wars,” which he led. He held a number of engineering patents, and penned numerous scholarly papers on engineering issues. Mr. Zakrzewski was a movement conservative and a community organizer long before it became fashionable. To address the needs of the San Francisco Bay Area denizens, he founded Polish American Federal Credit Union in 1974. He was elected president of the Polish American Congress’ Northern California Chapter. Richard created and ran several charities, including the Thaddeus Ungar Foundation. He was a published author and a pundit on conservative American and Polish issues. He supported the dissident movement and “Solidarity” in Poland. Last but not least, he was a practitioner of public diplomacy par excellance. His charitable activities involved him deeply in the post-Soviet zone as far afield as Kazakhstan. Both Mr. Zakrzewski’s grandfather and father were killed by the Soviets: in 1937 and 1939, respectively. His mother died in the Gulag in 1941. He is survived by his wife Sophia nee Witwicka, seven children, grandchildren, and great-grandchildren. A longtime donor to IWP, Mr. Zakrzewski was a close friend and a California neighbor of Professor and Mrs. George Lenczowski, the parents of the founder and president of The Institute of World Politics, Dr. John Lenczowski. Further, he was the foster father of IWP’s Dr. Marek Jan Chodakiewicz. RIP. 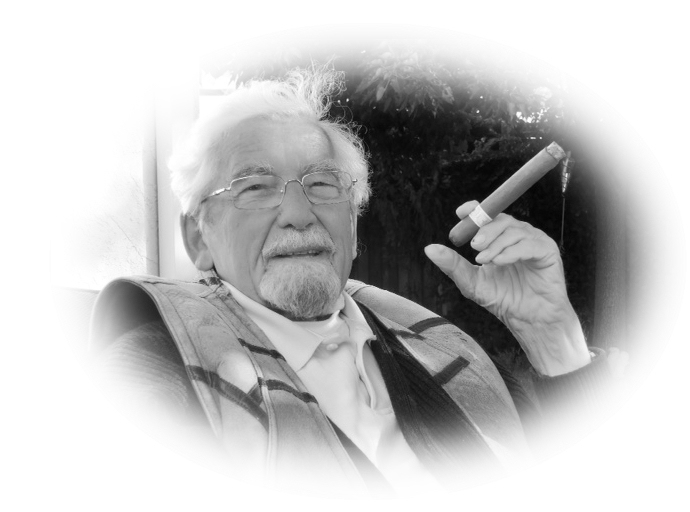 Services for the repose of Mr. Zakrzewski’s soul will be held in Warsaw on March 27, San Francisco on April 6, andMiami on April 11. This entry was posted in Donor Spotlight, News, Poland, Polish History, Western Civilization on March 25, 2013 by IWP.